Toronto – January 6, 2017 – When it comes to workplace safety and rights for cannabis workers in Canada, the recent report by the Task Force on Cannabis Legalization and Regulation leaves some labour advocates a bit dazed and confused. The Canadian cannabis industry is poised to become a significant player in our economy, where thousands of hard-working men and women will earn their incomes, and, in the right environment, gain the means to support their families and further build their communities. With that in mind, our federal government is presented with an opportunity to help shape this industry and workplace of the future in a way that best reflects the needs, realities, values and aspirations of 21st century Canada. That future must include comprehensive workplace safety and labour rights for every worker at every stage of the cannabis production chain. Yet, the report’s workplace safety recommendations appear to be squarely focused on “impairment”, which is very important for the many retail workers who will soon light the way for frontend consumers in this rapidly budding industry, but it’s a bit hazy how this focus will apply to the many other workers who grow and harvest the product. 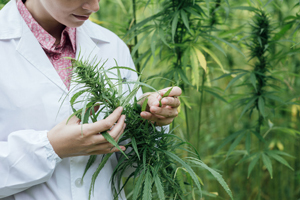 As Canada's union for retail, food manufacturing and agriculture workers, we, as the United Food and Commercial Workers (UFCW), are well acquainted with the health and safety threats experienced by cannabis workers in the production stage, particularly in jurisdictions like Ontario, where little to no industrial health and safety regulations currently exist for the agriculture industry. Laws in these jurisdictions must be strengthened to address labour concerns and conditions commonly found in the cannabis industry such as working in confined spaces, and preventative measures to safeguard against occupational hazards caused by prolonged exposure to grow lights, fertilizers and pesticides. In the case of Ontario, where more than 60% of the country's licensed producers and distribution operators are based, agriculture workers continue to be denied the right to join a union, which is a major factor in the tremendous precariousness and vulnerability of the province’s agricultural workforce. Connected to all of that of course is the grim reality that agriculture continues to be one of the most dangerous industries, with some of the highest fatality and injury rates year after year. Workers who grow, harvest and transport the vegetables, fruits and livestock we consume should have the right to free collective bargaining. The burgeoning cannabis industry workers are no different. In the United States, UFCW is proud to represent cannabis workers in a number of jurisdictions, including those where the use of recreational marijuana is legalized. UFCW members south of the border work in dispensaries, coffee shops, bakeries, patient identification centers, hydroponic stores and growing and training facilities. Workers in the cannabis industry have ratified some of the strongest collective agreements in any industry, which include pension plans, health and welfare benefits, fair wages, and full protection of labour rights. The federal government must seize this opportunity to lead by making workers rights a priority when discussing the future of the cannabis industry in Canada. It is imperative that strong health and safety laws be put into place to ensure safer and healthier workplaces. As well, the government should do its part to address the employment and labour conditions for all agriculture workers in Canada. No worker should be denied their rights regardless of where they work.